Ninja Theory, who developed Kung Fu Chaos as Just Add Monsters in 2003 for the original Xbox and went on to make several critically-acclaimed titles like Heavenly Sword, Enslaved: Odyssey to the West and Hellblade: Senua’s Sacrifice. They are based out of Cambridge in the United Kingdom. The team just posted an announcement on their YouTube channel explaining their decision to join Microsoft. Playground Games, who have worked exclusively on the Forza Horizon series since their inception in 2010. The U.K. based team announced Forza Horizon 4 at the show, launching on Windows 10 and Xbox One on October 2nd. Undead Labs, who had previously signed a multi-year exclusivity agreement with Microsoft in 2014, sees their relationship grow through a direct acquisition. The Seattle-based studio is the developer of State of Decay and State of Decay 2. Compulsion Games, a Montreal-based developer formed in 2009 by Guillaume Provost (formerly of Arkane Studios and Pseudo Interactive). They are most well-known for We Happy Few which Microsoft announced will be releasing on August 10th, 2018. Additionally, Phil Spencer, Head of Xbox announced the creation of a new San Diego-based studio called The Initiative. The team will be lead by Darrell Gallagher formerly of Crystal Dynamics and Activision. Their first title was not announced at the show. 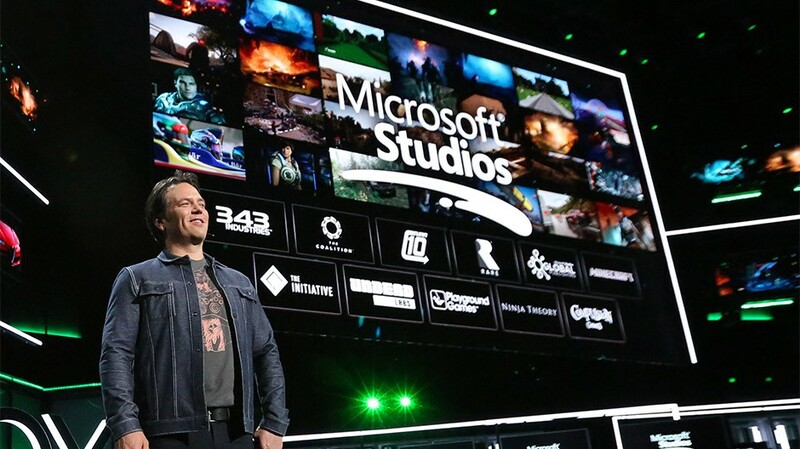 At the end of the announcement, Spencer stood below a slide showing the eleven teams that now make up the Microsoft Studios umbrella and a few items stood out. Noticeably absent from the list was Lift London; the studio that was founded in 2013 as a games incubator. Additionally, the Mojang logo was absent – in its place was the Minecraft logo. No announcements have been made about a change to the studio’s name at this time. These acquisitions represent the biggest change for Microsoft since 2016, when the company shut down U.K. based Lionhead Studios (Black & White, Fable, and The Movies) and Press Play Studios (Max: The Curse of Brotherhood) in Denmark.